Water Garden have a wide selection of solar powered and mains powered garden and pond lights which make superb Christmas gifts. Solar Powered Decorative Lights make ideal gifts for the garden lover and are a great way of creating a festive mood in an outdoor setting. These products charge by day and illuminate at night, requiring no external power supply. 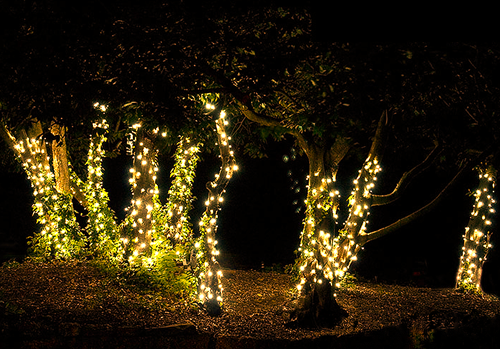 Solar string lights feature multiple individual lights situated along a main cable and are perfect for lighting hedges, borders and trees. Water Garden also offer a great range of garden and pond lights which not only make excellent presents but will also help to illuminate any pond, patio or garden area ready for an impromptu party.